If you’re feeling like you’ve plateaued in your spiritual quest, Patanjali’s eight limbs of yoga could help reset your sails. Enlightenment is your birthright, but you have to walk before you can run. It’s hard to run if you haven’t learned how to walk, and walking seems unfathomable until you’ve learned how to crawl. But when all you want is to sprint down that tree-lined path to the flower fields at the end, there isn’t much patience for mastering a crawl. It’s a human condition: we fixate on an end goal and dismiss all the critical steps needed for the end goal to truly actualize, like pressing fast forward to get to the end of a movie. __When an integral stage of the process is missing, the final destination doesn’t hold nearly the same pleasure it could have. When essential pieces are missing, completion is unwhole. This is why we practice the eight limbs of yoga, not just asana. It’s really, really hard to experience samadhi, or nirvana, or ecstatic bliss, if you haven’t become intimate with the stepping stones to getting there. Did you know there are stepping stones to enlightenment? Some might argue there aren’t, but the “Father of Yoga,” Patanjali, felt strongly that there are. This is what the Yoga Sutras of Patanjali explains. Called the eight limbs, there are 7 stepping stones one must master if they wish to attain the auspicious number 8 - samadhi (Where else does the number 8 appear? How about the Chakras?). Patanjali believed this systematic, step-by-step process could guide anyone (including you!) to enlightenment. 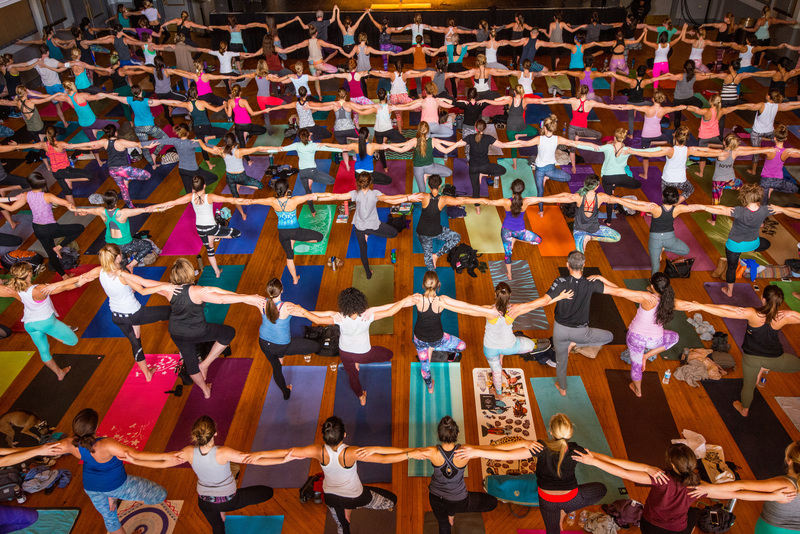 Modern yoga in the west often highlights only one of these limbs, asana-the physical practice, although many yoga teachers do try to thread in some of the others into their classes for a more well-rounded practice. We place such emphasis on the asana limb, yet Patanjali only mentioned asana a few times in all 196 Yoga Sutras! The word sutra means “thread”, implying that these texts make up the most foundational and necessary truths that thread the life journey together. The Sutras (or writings) of Patanjali are divided into four sections, or Padas. The practice of Kriya yoga, or action, comes from the second section called the Sadhana Pada. Sadhana translates to “daily spiritual practice”. This is where the Eight Limbs are described. Keep in mind, Patanjali insisted that you are to master one limb before you are ready for the next. Ashtanga means eight, and refers to Patanjali's eight limbs. Each limb, when practiced, is designed to help the practitioner live a more disciplined life with the goal of alleviating suffering. After you’ve tended to your body and external world, you’re ready to venture inward. 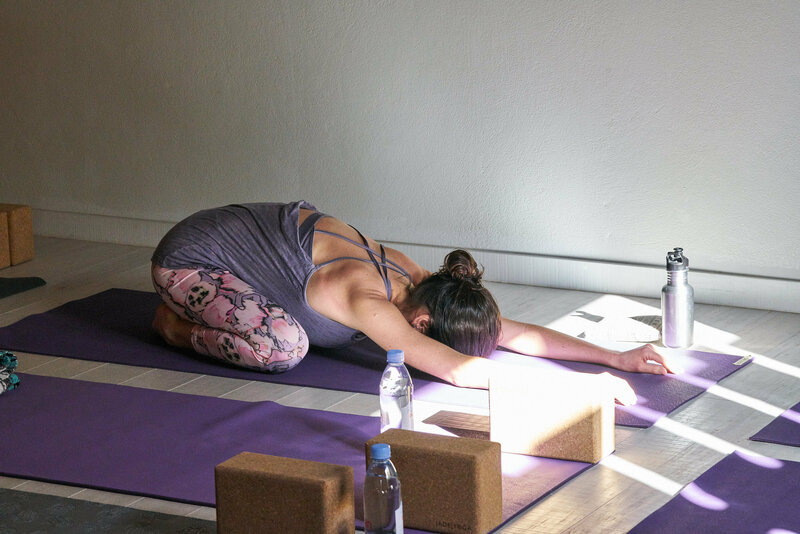 Pratyahara is the practice of withdrawing your senses from all external stimulus so you can become aware of your inner landscape. Dharana deepens your inward journey through focused concentration. Through the previous steps, you’ve become ready for meditation, or dhyana. This is the practice of meditation, which leads to reflection; observation; steadying the mind; quieting the voices/mental clutter; resting the Monkey Mind. Samadhi is is the merging with the divine, the true union of the self: tranquility, fulfillment, happiness, bliss, and contentment. The inward journey eventually takes you so deep that it becomes both inward and outward; you are one with the divine, one with all. You are completely absorbed in this tranquil union and bliss. If you followed this sequence, could you make it past the first step? It’s no wonder enlightenment isn’t as easily attainable as snapping your fingers. But then again, would you be able to enter such a pure and divine state if you hadn’t mastered the preceding steps first? So, do the work to be a good person. Take care of your body and mind, and leave this universe vibrating higher than when you found it. You have that power, and that choice. Most importantly, don’t forget to breathe. Feel free to reference the list above as your handy go-to when preparing a yoga class or workshop, or keep it close for your own journey up the proverbial staircase to samadhi. You can move through the eight limbs with inspired guides on oneOeight.com, too! Real Talk: In which limb(s) do you feel the most stuck? Do you notice if you’ve skipped a step and if that has caused a struggle? We are all the student and the teacher. Share your perspective on Patanjali’s eight limbs with our community in the comments below!